Raf Simons’ iconic ‘Astronaut’ sneaker is getting a seasonal makeover for spring / summer 2010. Although, simple and unobtrusive, the updated version of the high top holds true to its predecessors. Around back though is where all the spark is at – the large zippered pocket definitely adds a new dimension to the otherwise ordinary shoe. 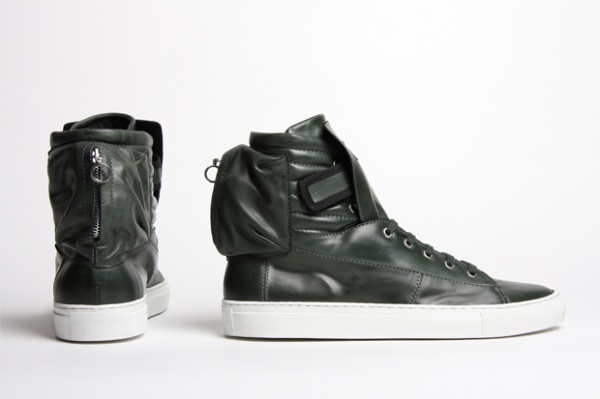 Check out the British racing green leather high tops at oki-ni.